Fascial Stretch Therapy (FST) is an innovative stretch therapy. FST starts at the joint capsule and focuses on planes of tissue, lines of muscles and fascia, not just individual muscles, like most massages do. ​Unlike massages or other stretching techniques, Fascial Stretch Therapy benefits a wide variety of patients with myriad health issues. If you suffer from low back pain, tight hips or shoulders, or if you sit most of the day at work, Fascial Stretch Therapy can help you achieve amazing posture and feel better! This innovative stretch therapy increase your range of motion, improves your posture, relieves your chronic pain, improves muscle activation and increases relaxation. ​You will see improvement in your flexibility and posture in a single session, guaranteed. For longer lasting results clients typically get stretched regularly. If you or someone you know is in need of fixing, we recommend you get stretched once a week for 4-6 weeks. Get back in touch with your body and feel better! Fascial Stretch Therapy is an integral aspect to anti-aging regimens prescribed and managed by Dr. Johanan Rand. Learn more about functional medicine & the benefits of treatment that addresses the root cause not just the symptoms. Offering Men and Women a safe & natural way to fight the signs of aging & prevent age related diseases with BHRT. 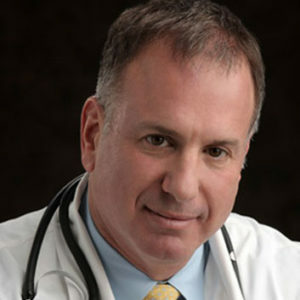 Dr. Rand offers a wide variety of IV Nutrient treatments for recovery, optimal wellness, vitamin supplementation & more. Patients can lose weight, improve health, & boost confidence through expert weight loss programs. Reduce the physical signs of aging & eliminate fine lines and wrinkles with specialized cosmetic services. Learn about this advanced ultrasound that is a powerful tool for early detection of cardiovascular disease. Dr. Johanan Rand is committed to helping the residents of North New Jersey and Essex County who are suffering from the debilitating changes that occur after a traumatic brain injury.